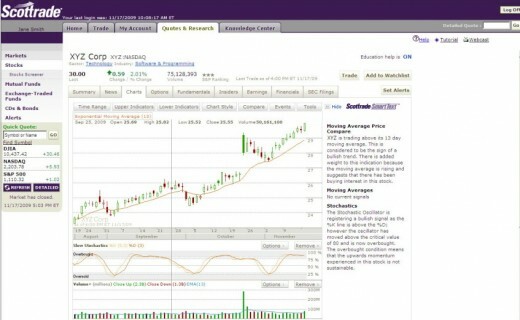 If you are a mutual fund investor and buy stock online or online stock trading, you probably know about Scottrade. Scottrade is an online brokerage site that offers various products such as stocks, options and mutual funds. They offer their low cost commissions of $7.00 per trade on three different trading platforms: Scottrade, Scottrade Elite, and Scottrade OptionsFirst. Also, Scottrade has over 480 branch offices throughout the United States and has had a consistent track record of being recognized as an industry leader by several different magazines and review groups. While not one of the cheapest online trading platform, Scottrade has been known by investor as well as trader due to its platform, research and community. Please also check my other hubpages review about brokerage such as TD Ameritrade, Vanguard, Zecco, Fidelity, E*trade. Scottrade was founded on 1980 with headquarter at St. Louis, MO, USA. As a private held company, Scottrade is not listed in US Stock Exchange. 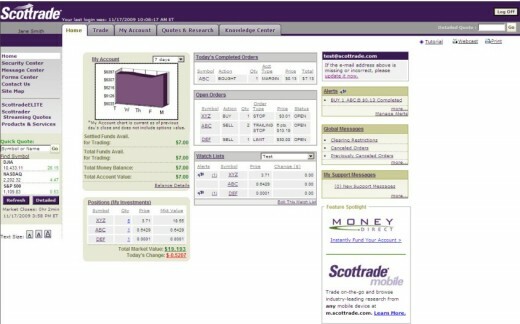 Scottrade offers product such as stocks, options, and mutual funds. The minimum fund to open an account is $500. There is no inactivity fee. The client asset is being held Scottrade, member of FINRA and SIPC. This account is insured under SIPC up to $500,000 ($100,000 for cash). There is also additional excess coverage up to $25,000,000 (up to 1 million cash) client asset. Mutual Funds: $17.00. Load funds also incur a $17.00 redemption fee. Also has NTF funds. Some Other Fees: Paper Statement: $2.00 per statement. ACAT In/ Out: $0. 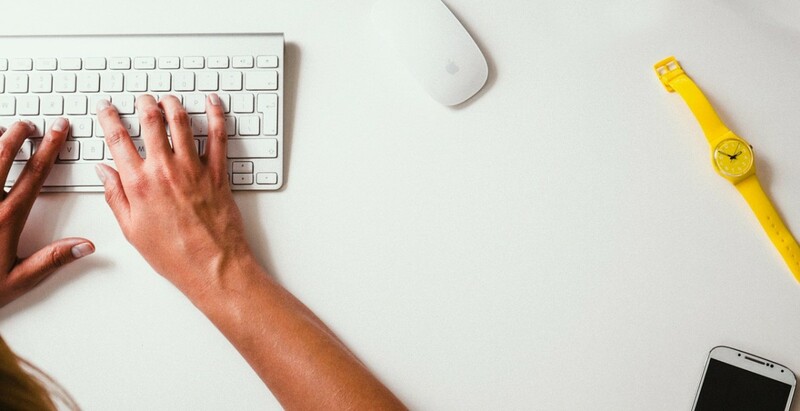 Opening account is straight forward; you just need to fill the online application through Scottrade website. You can open individual, joint, and Individual Retirement accounts (IRA). They may require you to submit some identification as well. The application only takes about 10-15 minute. Once you are done, you’ll need to wait for their approval. Then, you can setup how you want to fund your account. Unfortunately, there is no support for non US resident at this time for Scottrade except Chinese services. This means foreigner or international trader can’t open Scottrade account except Chinese resident such as Hong Kong, China, and Taiwan. 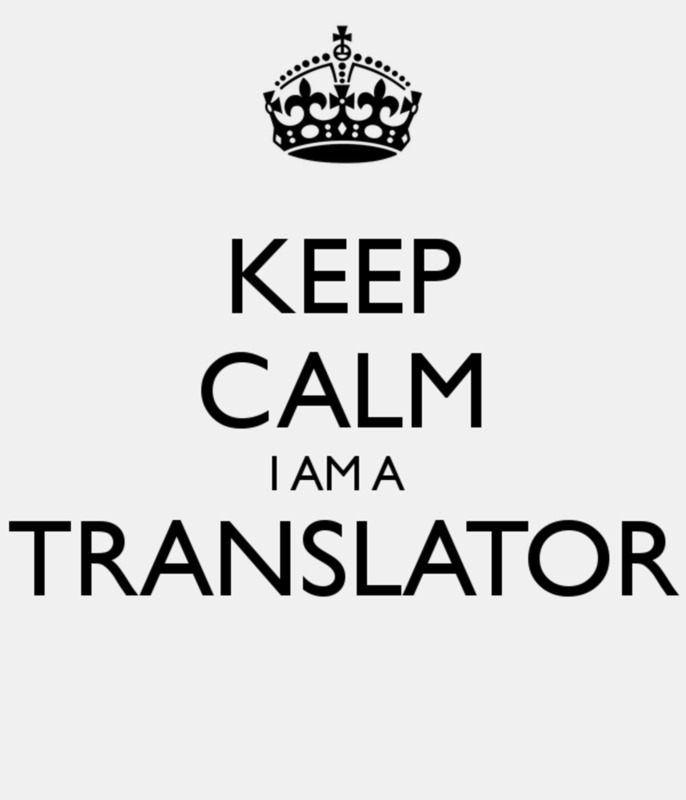 They also offer Scottrade account in Chinese language services. Electronic Transfer (ACH transfer) will take up to 3 business days. For stock trading or ETF trading, the standard commission is $7.00 per trade with no limit of shares amount. As noted, for broker-assisted trades, the commission is $27 per order. When trading during pre and post market hours, ECN fees maybe add to the regular commission rate. There are various stock order can be executed through Scottrade such as Market order, Limit order, stop order or stop limit order, and trailing stop order ($ or %). Stock trading (i.e. buy stock online) can be done through web based platform as well as software platform, Scottrade Elite. ScottradeELITE is available to customers who maintain an account balance of $25,000 or more. 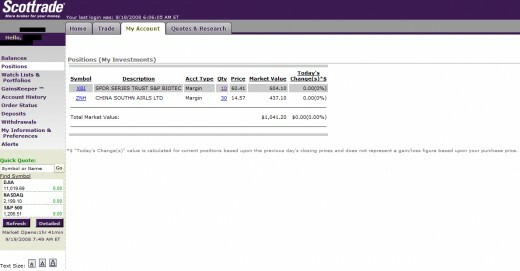 For option trading, the customer can use Scottrade OptionFirst. The cost of 1 contract will cost $8.25 commission fee ($7 ticket fee + $1.25 per contract), while 10 contracts will cost $19.50 commission fee. For mutual funds trading, there are about 3,000+ no load no transaction fee mutual funds with no commission fee for buy or sell. Scottrade will charge through record keeping, shareholder or SEC Rule 12b-1 fees from the mutual funds whether the bonds are bond mutual funds or stock mutual funds. 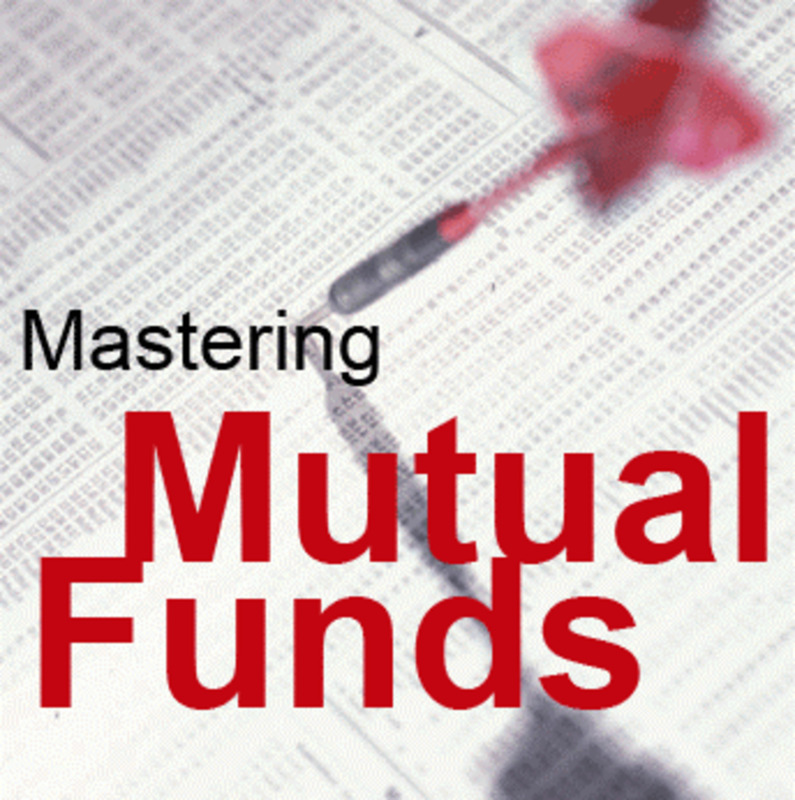 There are 14,000+ mutual funds for selection with $19.99 per trade of mutual funds. 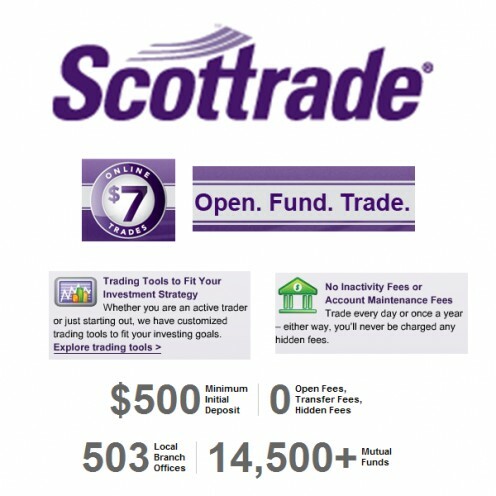 Scottrade offer over 3,000 mutual funds with no load and no transaction fees for free. There are 14,000 mutual fund for selection as well. Option platform separate from main trading platform. The platform is provided by OptionsHouse for advanced options trading. Option fees are excessive. I think Scottrade is a good choice for passive investor and mainly plan to invest in mutual funds. Scottrade offering of mutual funds is impressive with 14,000+ mutual funds and about 3000+ mutual funds have no fees no load NTF mutual funds. The commission structure is straight forward with $7.00 per trade for stock and option. The Scottrade trading applications includes a standard web based browser platform, a desktop software application named ScottradeELITE and a mobile application named Scottrade Mobile. ScottradeELITE is primarily available to customers with an account balance of $25,000 or more. Scottrade Mobile supports iPhone, BlackBerry and most other modern handsets. Scottrade has a good registration process and charts. 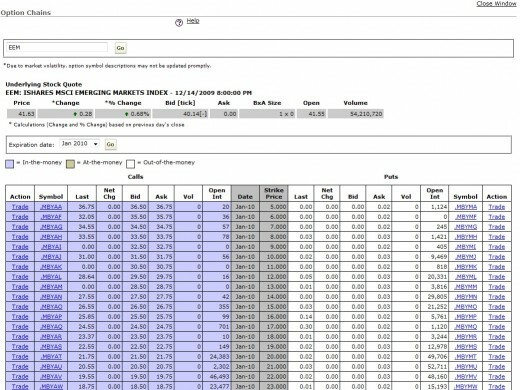 With a merely average stock trading engine, research tools and margin rates, Scottrade is kept out of the top tier of brokers. The options trading engine needs improvement and the commission and fees for options traders are excessive so I do not recommend the service at all for options traders. If you want to trade option please try lightspeed, they have one of the lowest option fees as far as I know.